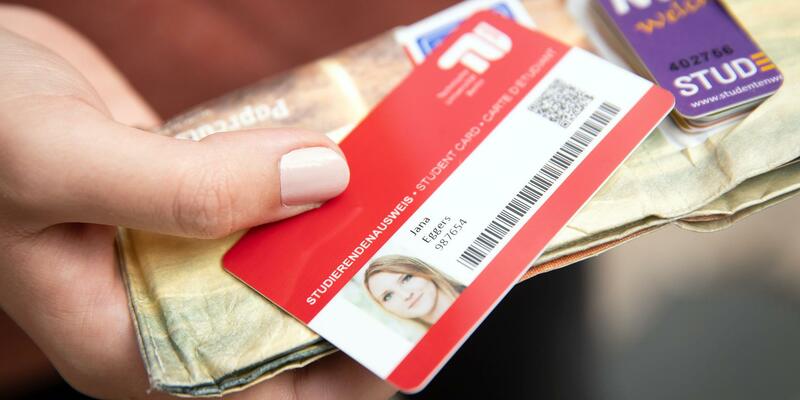 From 1 November 2018, TU Berlin will be starting the process of changing over to a new student ID and a new Semesterticket (student public transportation pass). The current ID card will be replaced by a new card with an integrated electronic Semesterticket. 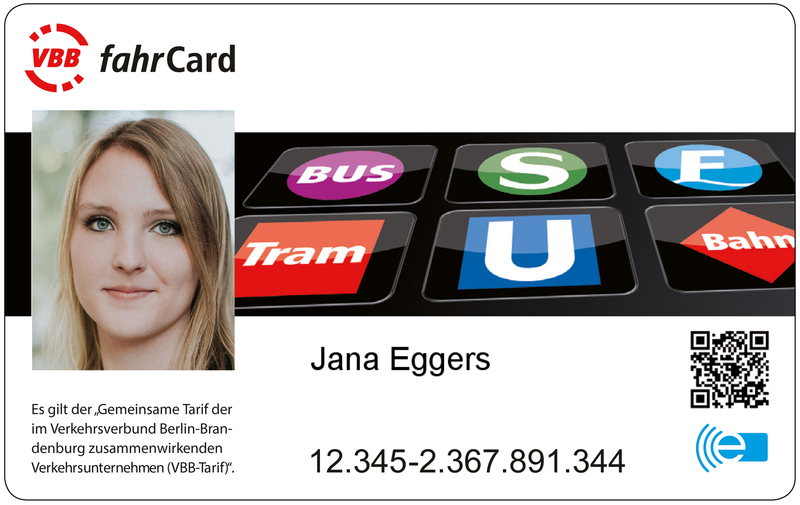 The Semesterticket serves as your "fahrcard" - the personal subscription transportation pass of the VBB (the public transportation authority of Berlin-Brandenburg). The new ID card and e-ticket have a number of benefits for you. The new student ID also contains an electronic Semesterticket (only for those students not opting out of the Semesterticket), enabling you to use public transportation within zones ABC. The electronic Semesterticket is automatically renewed once your semester fee has been received. You no longer have to carry your certificate of enrollment with you or put a valid sticker on your student ID every semester. 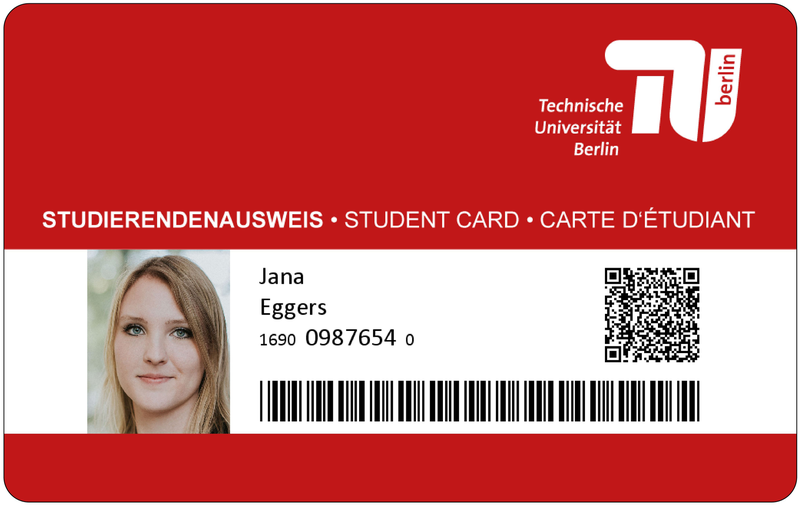 The new card serves as both your TU Berlin student ID and your TU Berlin library card. Log on to your personal portal on the TU website. Under “Persönliche Daten” go to “Mein Profil” and then “Ersatzkarte beantragen.” Upload a photo – and that’s it! You will receive the new student ID via mail. The integrated electronic Semesterticket – if you are eligible for one – will already be activated. The video tutorial also depicts the steps. Finally, your ID is printed and mailed to you. If you have not provided a German address, you can pick up your ID at the Campus Center during opening hours. Please wait until you have received a letter in the mail informing you that your card is ready to be picked up. How does the ID work? 1. E-ticket: Your travel permit, i.e. your Semesterticket is electronically saved. During ticket inspections, ticket inspectors can scan your card using a reader device to see your travel permit. 2. The bar code on your student ID continues to permit you to use the services of the University Library. 3. Finally, your ID also contains a QR code linked to a TU Berlin website. This provides proof of your enrollment for the respective semester at TU Berlin. You can use any QR-reader (app) to access this website. Can I also collect my ID in person? This is only possible for students whose primary permanent place of residence is outside of Germany. What do I do if I didn't receive an email asking me to request a new student ID card? You can still receive your new student ID, even if you didn't get an email. Simply log on to your personal portal and request the ID as described under “How to get your new student ID” and in the video tutorial. What happens if I don’t request the new ID on time? TU Berlin will not mail any stickers for the Semesterticket (student public transportation pass) for summer semester 2019. From 1 April 2019, only new student IDs with an electronic Semesterticket are valid. This means that if you have not yet received your new ID by that time, you can neither use public transportation nor the University Library and can no longer identify yourself as a TU Berlin student. You should thus request your new ID as soon as possible and no later than 1 February 2019. If you request your student ID after that date, we cannot ensure that you will receive it in time for summer semester 2019. How long do I have to wait to get the new ID? It depends on when you request your new ID. There are 35,000 students waiting to get their new IDs, so it could take a little time until you have yours. The sooner you request your new ID, the better. Please request your new ID on time. Do I still have to carry a certificate of enrollment on the bus and train in the future? No, you only need you student ID. Validity is checked electronically during an inspection. What data is electronically stored on the card? No further data, including matriculation number or identifiable name, is electronically stored on the ID. Is the new student ID secure? Yes, the data on the chip is encrypted. Additionally, the ID itself does not store any data electronically that could be used to identify you personally. Only the TU Berlin Office of Student Affairs is able to determine electronically who an ID belongs to. Why do I need to upload another photo? As stated in the study data regulations (Studiendatenverordnung), TU Berlin may not store any photos of students. Photos are only used to generate IDs; they are then deleted. This is why we also need a current photo to be able to print your ID. Will there be any changes to the semester fees? There will be no change to the fee for reregistration or the semester fees, including the fee for the Semesterticket, as a result of the new student ID. Do I have to pay anything for the new ID? The first issue of the (new) student ID is free of charge, as is the issue of a replacement, should your ID not function for technical reasons. If you lose your ID, or if it is stolen, then the cost for a replacement remains EUR 16. When do I need to request the new ID by? Please request the new ID as soon as possible. If you submit your application after 1 February 2019, we cannot ensure that you will receive your new ID in time for the start of the summer semester 2019. Where can I check if my ID is working and whether I have a Semesterticket? You can check the chip’s functions using any smartphone with NFC capability. Please go to the customer service centers of the BVG and S-Bahn to see if you have a valid travel permit, i.e. Semesterticket. There, you can use the control terminals to check your card. Will I still receive the Semesterticket stickers? No, your new ID no longer requires you to use the stickers. The validity of the Semesterticket is reviewed electronically via the card’s chip. Once the new Semestertickets/student IDs have been sent, TU Berlin will no longer mail the Semesterticket stickers. What happens if my card can’t be (electronically) read during an inspection due to a defect? If the card cannot be read, the ticket inspector will issue you a receipt of the events. Take this receipt to the Campus Center within one week. The staff there will check whether the card is actually defective. In this case, you will receive a new ID as quickly as possible and, of course, do not have to pay a fine. If you do not go to the Campus Center within a week, the transit company will issue you an increased fine. The technology used is extremely reliable. The case described above will occur extremely rarely. What do I do with my old student ID? Your old student ID will become invalid as soon as you receive your new one. You are welcome to return it to TU Berlin but are not required to do so.